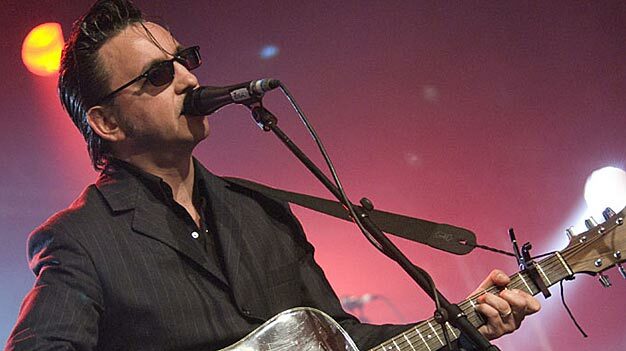 A couple of nights ago I was treated to the fantastic Richard Hawley live in Cambridge. The husband and I saw him at the Roundhouse a few years ago and once again he didn't disappoint. We're a little biased perhaps as his music, Coles Corner in particular, provided the soundtrack to our early relationship, in honour of that The Ocean was the first dance at our wedding. I think it is possibly one of the most beautiful songs ever written, I appreciate it is a bold statement to make but I honestly don't think I'm wrong. He cuts a imposing figure on stage whilst retaining his humility too relating well to his audience. Approachable he is the kind of guy that I'm sure wouldn't run at the first sight of a fan approaching him. My guess is he'd probably buy them a pint and spend the rest of the evening chatting with them. He is his own artist doing his own thing and very successfully at that. He played a mixture of songs from his previous albums but the finale an outstanding version of one of his most well known songs 'The Ocean' was an brought tears to the eyes of most of the audience. The show also demonstrated his musicianship, an accomplished musician not just a producer's creation he and his band really do know their stuff. Such a privilege to once again listen to this great man's work. Thank you Richard for a totally brilliant evening and for giving us yet more wonderful songs. You can get his new album Hollow Meadows here.